Matthew Jayes from the School of Business, Economics and Informatics discusses a recent event from the Department of Management looking at global labour and the effects of internationalism and immigration in the workplace. 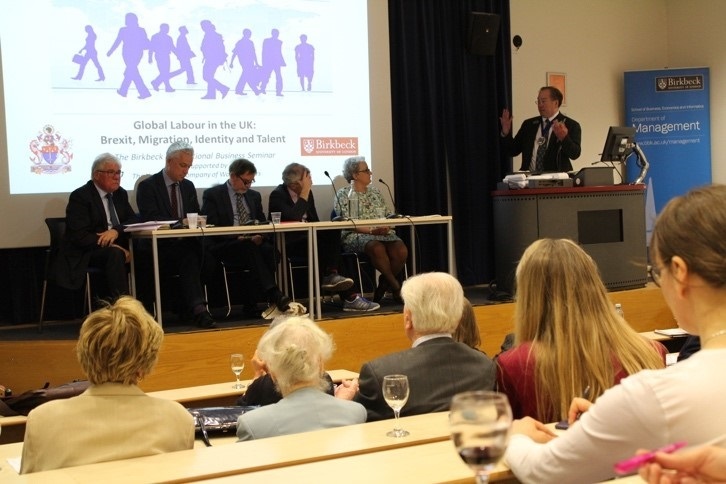 Dr Rebecca Gumbrell-McCormick, Senior Lecturer in Management at Birkbeck, responded by providing a robust summary of the Trade Union response to global migration. Drawing from a selection of Portes’ published articles, her own research, and other leading voices in this field, Gumbrell-McCormick looked at broader global migration patterns and associated causes of tension. Global labour migration reacts to push and pull factors, notably the continued divergence between wages and working conditions. Focusing on the difference between Northwestern Europe and Central Eastern Europe, Gumbrell-McCormick asserted that businesses have created a demand for low wage labour deliberately through their business models. Such demand is serviceable only when there are limited or no alternatives for workers in their locale. 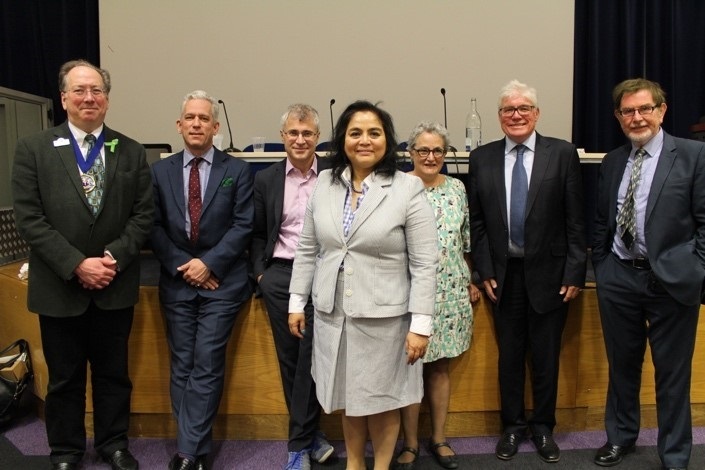 According to Gumbrell-McCormick, the UK trade union response has demonstrated solidarity with global workers, highlighting the need for fair movement from an early stage in the debate. However, there are still concerns remaining, for example, trade unions are fighting the abuse of self-employment status by foreign workers – but also by British workers too. For me, this also raises questions about the nature of talent and skills development. Beyond the aforementioned concern of how an administrative process may accurately measure desirable individual qualities, there appears to be the issue of temporality and lived experiences. For example, how many successful businesses emerge from chance encounters or from identifying a niche in a market one has been working in for some time (perhaps in a low-skilled role)? My experience of working on the development of Enterprise Pathways at Birkbeck allowed me to interact with many wonderful, dynamic Birkbeck students, many of whom are aiming to change careers entirely. Thus, whilst government austerity was discussed on the evening, surely the current debate around talent and migration must focus on how the UK can better develop its capacity to support citizens and migrant communities, both of which are rich sources of innovation and creativity. Portes reinforced this belief, asserting that “diversity makes us collectively better.” Certainly, this is a belief strongly held at Birkbeck and is manifest in our widening access and outreach activities, and demonstrated by our pioneering Compass Project which enables asylum seekers to have access to higher education, recognised with a major prize at the Guardian University Awards 2018.